Carmen Argote, Arragement of Contained Energies, 2018; Ron Athey performing Acephalous Monster at Performance Space New York, 2018; Diedrick Brackens, in the decadence of silence, 2018. 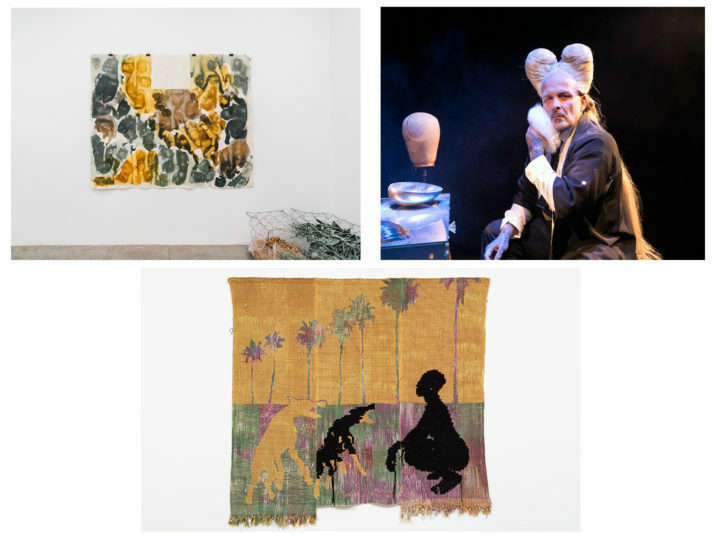 Artadia has announced that three artists have won its 2019 Los Angeles awards: Carmen Argote, Ron Athey, and Diedrick Brackens. Each artist will receive $10,000 in unrestricted funds. Brackens, who was named the inaugural recipient of the Marciano Artadia Award, will be given an additional $15,000. For Artadia’s fifth year of providing unrestricted awards to artists in the city, Pavel Pyś, curator of visual arts at the Walker Art Center in Minneapolis; Erin Christovale, assistant curator at the Hammer Museum in Los Angeles; and the Brooklyn-based artist Zina Saro-Wiwa selected six finalists, who also included Eddie Aparicio, Gelare Koshgozaran, and Jennifer Moon. Then Anna Katz, assistant curator at the Museum of Contemporary Art, Los Angeles, conducted studio visits with Christovale in order to determine the awardees.